Welcome to the travel trade resource for airport-related information. Getting to Fort Lauderdale is a breeze, thanks to the convenient Fort Lauderdale/ Hollywood International Airport with free wireless internet access in all terminals. When your clients land, they&apos;ll be in the heart of Greater Fort Lauderdale, just three miles from hotels, attractions, the beaches, Broward County Convention Center, Port Everglades and just about anywhere else they want to be. 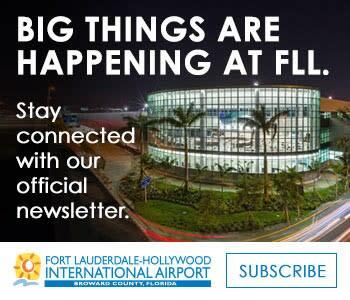 FLL Airport App: Get plugged in to what’s what and what’s where at FLL. Download the free FLL Airport App now for flight information, parking information, an airport guide, Greater Fort Lauderdale&apos;s Playbook, even the local time and temperature. It’s all there and more, just touch your screen. FLL offers the lowest fares in South Florida with 300 daily departures to more than 75 destinations. 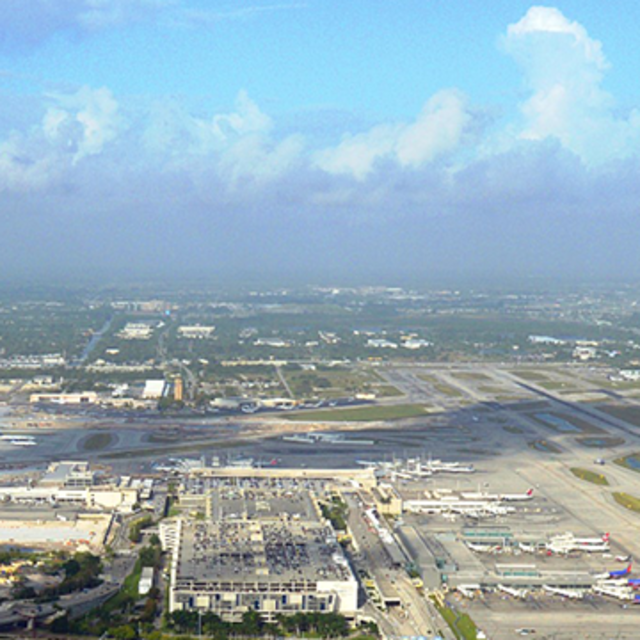 Traveling to FLL Just Got Easier for International Travelers! Relief is on the way for passengers forced to wade through long customs lines at Broward County&apos;s Fort Lauderdale-Hollywood International Airport (FLL). Starting June 2015, U.S. citizens and residents traveling to FLL from international destinations can take advantage of Mobile Passport, a mobile app that allows travelers to submit passport and customs declaration information via a smartphone or tablet. Downloading this mobile app will reduce wait times and allow travelers to quickly claim their luggage. Taxi and Shared Ride services have visible kiosks outside of each terminal&apos;s baggage claim area. Taxicab stands are centrally located at Fort Lauderdale/Hollywood International Airport and major hotels. Fares are $4.50 for the first mile, $2.40 for each additional mile and $.40 for each minute of waiting time. Fort Lauderdale Airport Shuttle offers transportation to and from Miami, Fort Lauderdale, Port Everglades, Port of Miami, residences, hotels, all airports & cities. Vehicles include newer vans, executive sedans, luxury SUV&apos;s, minibuses, party buses and deluxe motor coaches. $10 per day ($8.50 seniors, $8.25 AAA), free shuttle service to airport terminals every 3-5 mins, with pick-up and drop-off directly at your car. Cruise port shuttles available. $8 per day uncovered, $9 per day indoor covered, free shuttle service to/from FLL Airport and Port Everglades. Operating 24/7. Detail and maintenance services available. Offsite airport and cruise parking. Valet your vehicle and take the free shuttle service to your terminal. . Book online to receive our best rates. Save 20% on your travel by booking your parking spot ahead of time with Airport Parking Reservation using the code: SUNNYSFL20 on your desktop. Atlanta 1 hr. 50 mins. Boston 3 hrs. 10 mins. Chicago 3 hrs. 15 mins. Columbus 2 hrs. 30 mins. Denver 4 hrs. 26 mins. Indianapolis 2 hrs. 40 mins. Los Angeles 5 hrs. 35 mins. New Orleans 1 hr. 50 mins. New York 2 hrs. 45 mins. Philadelphia 2 hrs. 30 mins. St. Louis 2 hrs. 50 mins. Washington, D.C. 2 hrs. 25 mins.